Jefferson Freire is from Zona Sul, The South Zone, one of the most populated areas of the city of São Paulo, Brazil. It was there that he first learned to juggle as a student of Anderson Pereira da Silva a noted street performer widely regarded as the best juggler in Brazil. 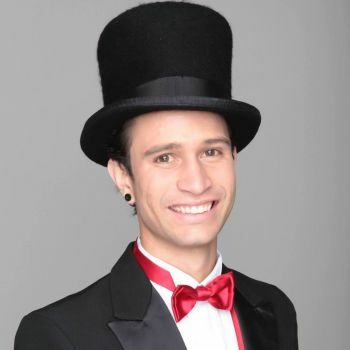 Jefferson Freire took this street experience and his dream to the small circuses in Brazil where he worked on his act and learned greater skills. Gradually he improved and so did his contracts. By 2009 he was working with Circo Spacial, Circo Di Napoli, Circo Montreal, Circo Europeu, Parque Da Xuxa and Hopi Hari. Jefferson attended international juggling events and gained a reputation in that world. In 2012 it was with Casuo Universo, Brazil’s largest circus – which, he tells us “… is formed by talents from all over the country” and meanwhile he studied music and became proficient with violin. He learned unicycle and then he traveled abroad, first to Paraguay, Argentina and Columbia and television appearances on: Balança Geral – TV Record; Programa do Ratinho, Gugu, Patati e Patatá – SBT; Mulheres – TV Gazeta; Pânico na TV, Gilberto Barros – Rede TV; Programa do Jacaré – NGT. Moisture Festival caught up with Jefferson Freire in the San Francisco Bay Area where he has involved himself with Circus Center Cabaret, Circus Bella and Oakland’s Juggling Artist Showcase, Prop Box Studio. We are so proud to be presenting him, for the first time, to the audience of Seattle at the Moisture Festival, 2019.